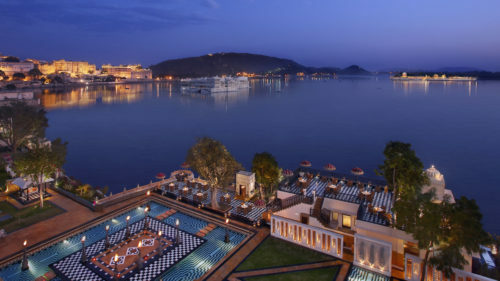 Boasting spectacular views of the tranquil waters of Lake Pichola, the City Palace and the Aravalli mountains, the Leela palace evokes the grandeur and opulence of the land of the Mewars. 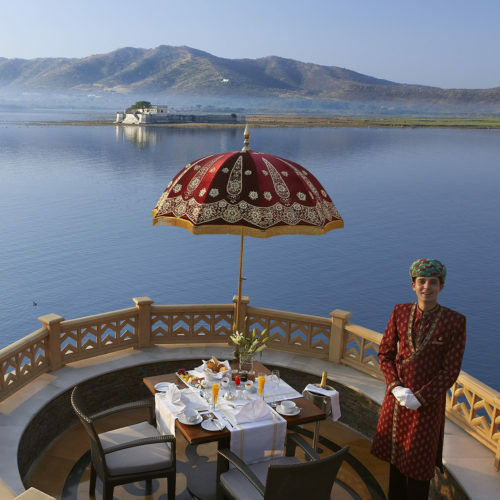 The elegant and contemporary interiors of the 80 rooms and suites all have spectacular views of Lake Pichola and the City Palace. 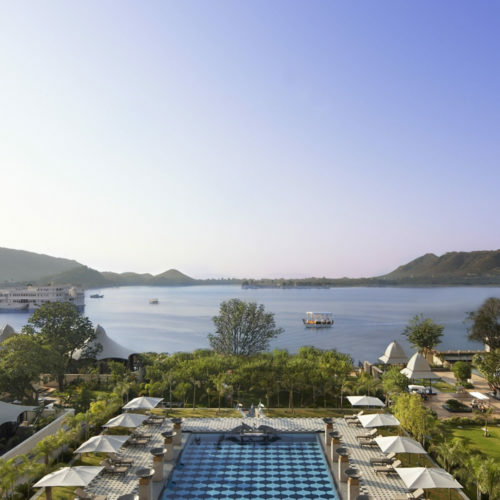 Indulge in The Spa by Espa, sunrise and sunset yoga sessions, a gym with steam rooms or relax at the outdoor swimming pool. 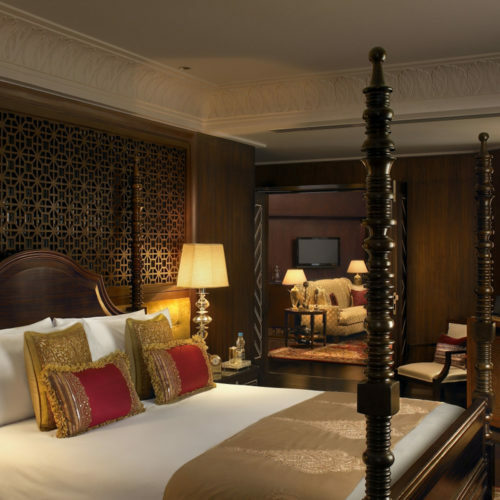 The Leela Palace has one of the best restaurants in Rajasthan, read our interview with the executive chef Kayzad Sadri to understand why.